An Ancient Solar System...: Answers for authors: Why don't giant guns work as space launchers? Answers for authors: Why don't giant guns work as space launchers? 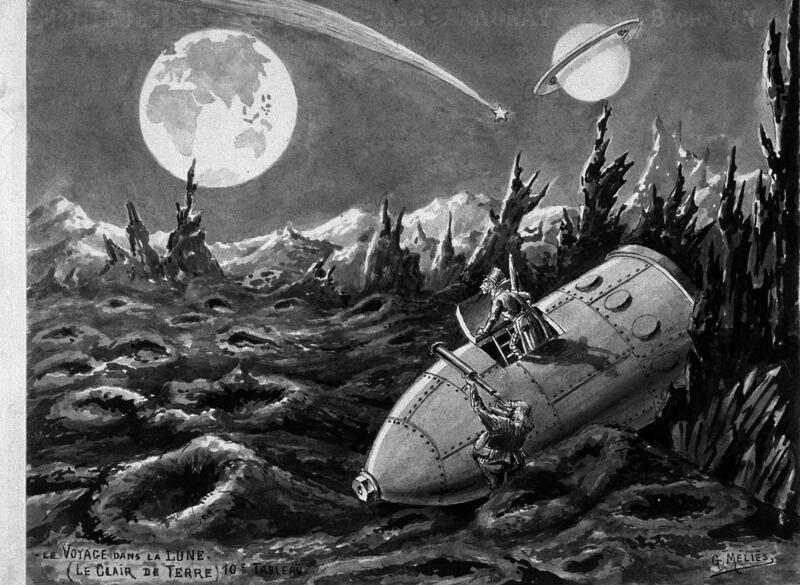 Why don't giant guns work as space launchers, like Jules Verne imagined? Ahem. Who told you they don't? ‘Project HARP’ (High Altitude Research Project), was a huge US/Canadian gun. It had a barrel 40 meters long, and fired unmanned probes into space at 2000 m/sec. Yeah. Space guns are real. 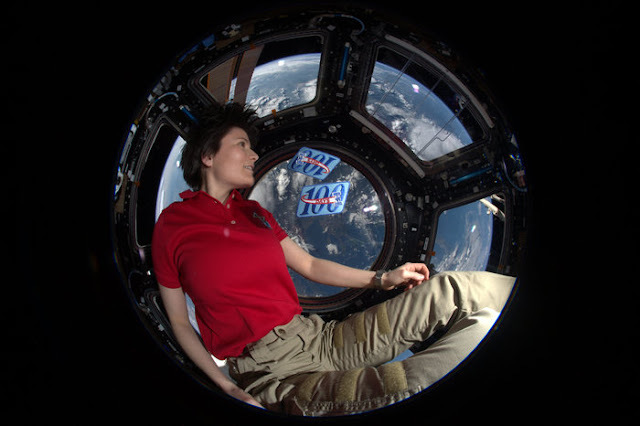 Which is why this astronaut should be wearing camouflage. You're making yourself a target, this why redshirts always die dammit! HARP began as a project by Canada’s McGill University, to study how ICBM aerodynamics performed, and learn about the boundary between our atmosphere and space – a region that was poorly understood at the time. But Gerald Bull, the brilliant ballistics engineer behind it, was actually aiming to orbit a friggin satellite with it, and give Canada it’s own space program on the cheap. An enormous gun could be re-used, where the first stage of a rocket is almost always lost. Keeping the 'first stage’ on the ground also allows more frequent launches. Easier to do upgrades and repairs. Military forces across the world have huge guns and lots of knowledge of how they work. It was a dream that could have revolutionised space travel. It’s also, allegedly, part of the reason why Gerald Bull was found in a hotel room with two bullets in his head and three more in his chest in 1990 …. Above: The HARP gun being fired. Forty years earlier, Gerald Bull was a man on a mission to prove that a sufficiently oversized gun could shoot stuff into space. He worked at the Canadian Armaments and Research Development Establishment (CARDE), and when he wasn’t working on military projects related to ICBM’s or huge guns he worked on smaller projects… related to ICBM’s or very large guns. Now, that makes him sound like an obsessive with a strange and dangerous focus, so I should be very clear here: It’s entirely possible he was an obsessive, and it’s a matter of record that his focus was strange and undeniably dangerous. Gerald Bull’s obsession was getting some impressive results: He succeeded in building gun-launchable electronics - the ancestors of the GPS guided shells modern warships use - which caught the attention of the U.S. military advisers at CARDE. The U.S. Amy happily funded Bull to conduct experiments the Canadian government couldn’t afford, partly to help their political struggle against the Airforce for control of space operations. Incidentally, if you're surprised at the link between massively destructive weapons and space travel, take a look at this small satellite launcher. Looks an awful lot like a missile doesn't it? 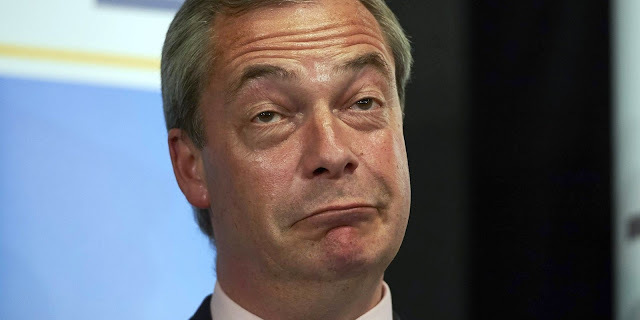 ...and it seems most of his close colleagues felt the same to some degree. Hence Gerald Bull made friends among people who shared his passion - but plenty of enemies amongst those who actually handed out money, and had influence. After a decade at CARDE Bull finally resigned his position in frustration. With his contacts he could have gone to the US, but he’d put down roots and made a family life in Canada. He was also convinced that Canada could become a great spacefaring nation using his supergun satellite launcher, and Donald Mordell, the Dean of Engineering at McGill University, had the same dream. So at 34 Gerald Bull became the youngest professor ever appointed by McGill University, and they began plans for the HARP space cannon. 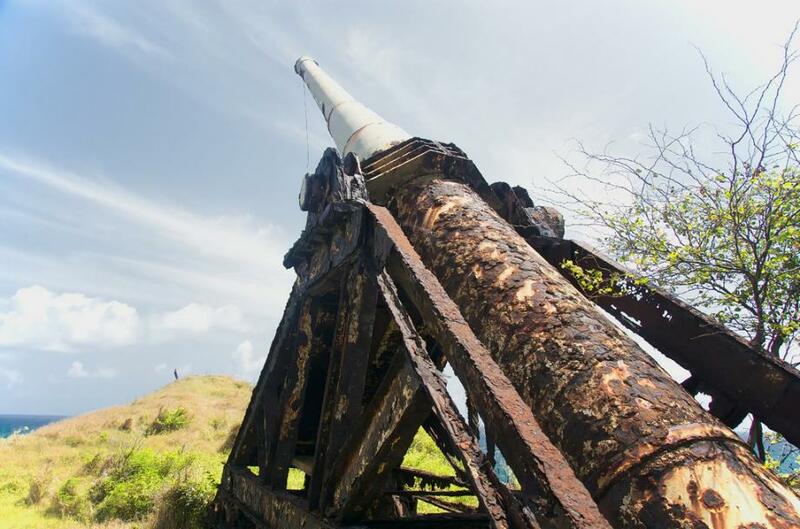 If you get to visit Barbados, the HARP gun (above) is still there, too big to be removed. 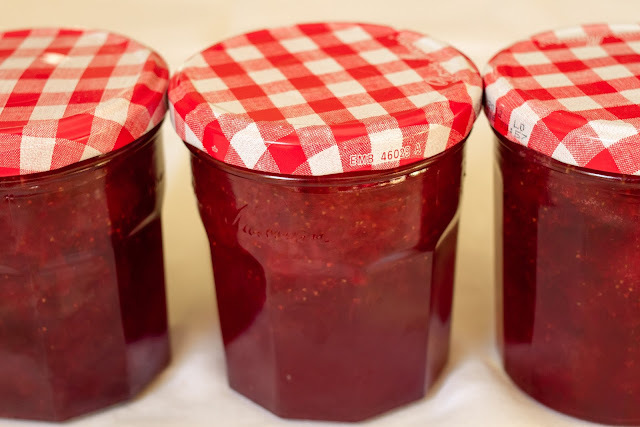 Mordell persuaded the Canadian Department of Defence Production (CDDP) to fund them… sort of: The CDDP made a verbal promise for a grant of $500,000, although it would take six months to work through the red tape. There’s a saying: 'Verbal contracts? Not worth the paper they’re written on'. Mordell and Bull also approached McGill University's board of governors for a $200,000 advance, so they could get started right away. At the time McGill University was supporting two research stations on the island of Barbados, and Mordell negotiated to use them as a launch site - since Barbados is close to the equator a satellite launch there would get extra kick from the Earth’s rotation. Barbados also gave them thousands of miles of empty sea for launches to come down in. Bull also found an eager ally in Charles Murphy, the head of the U.S. Army's Ballistic Research Laboratory (BRL). He located and acquired one of the largest artillery pieces in the American arsenal: A 16-inch battleship gun, plus spare powder charges, a heavy-duty crane to move the gun, and a $750,000-dollar radar tracking system. As I said, among those who shared his passion, Gerald Bull could really make a friend. And now the dice seemed to be rolling the space gun’s way. But political opposition, especially in the Canadian government, was already building: The $500,000 grant that had been verbally promised never materialised. Memo’s had been flying around claiming that HARP was no more then a publicity stunt, a theory that was totally impractical. When we’re talking about a literal Jules Verne space gun, in the early 1960’s, it’s easy to see why people would believe them. To counter, in March 1962 Mordell and Bull held a press conference, where they presented HARP to the public (with a generous dollop of positive spin). It caught the public imagination, and to balance the fires of doubt and politics against a PR opportunity, McGill University announced that HARP would be funded by 'contracts from governments and institutions desiring to utilise this unique research facility”. That meant the US Army, and pretty much just them – the art of spin is not a new thing. 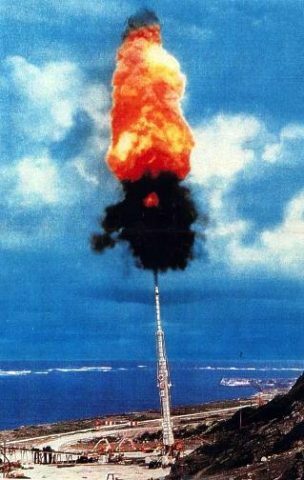 On the twentieth of January 1963 the HARP cannon was fired for the first time, and by June a gun-launched altitude record of 92 km had been set, using a “Martlet 2” unpowered probe. By 1966 a Martlet 2 would reach 180 km – 80km above the boundary of space. They could be launched for a cost of about $3000 each, at intervals of less then an hour – compared to modern launch schedules, with a few flights a week worldwide, this hints of the gun-as-a-launcher systems potential. Around 200 Martlet 2's would be launched, collecting reams of data on the boundary between atmosphere and space, and making it one of the most successful sub-orbital vehicles ever developed. The team began developing their first HARP gun-launched rockets. Genuinely impressed, the US Army agreed to fund the project for $250,000 a year. 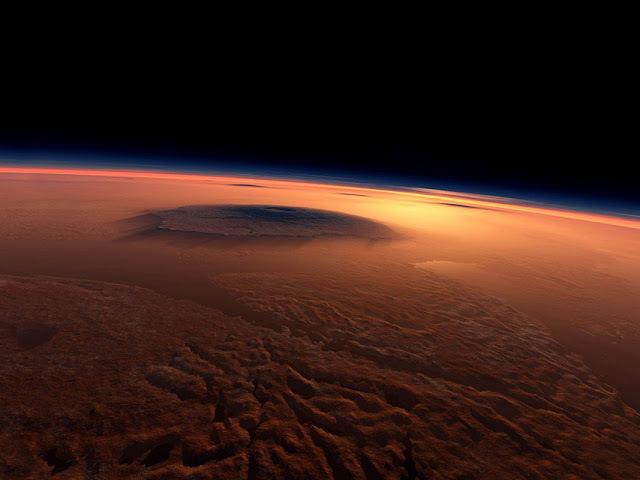 On Mars, due to the lighter gravity and thinner air, a gun like HARP could easily reach altitudes of five hundred kilometres. Y'know, in case Elon Musk is reading this. Barbados was now home to a space program, and the locals weren’t happy: The noise from the cannon could be heard across the whole island, tremors could be felt through the ground, and houses began to develop cracks from repeated exposures to the shockwaves. But HARP pressed on: The US Army, perhaps thinking the collateral damage to Barbados itself was a sign of military-ness done right, increased their annual finding from $250,000 to $1,500,000 per year. By March of 1964 the Canadian government joined in, and joint funding of $3,000,000 per year came pouring in. But Bull’s enemies had a more fearsome weapon than an immense cannon: Bureaucracy. Due to simple paperwork problems the Canadian government did not release the projects funds, including the US Army's share, for some 10 months into the fiscal year. In the absence of funding the project progressed slowly, and little progress to show made securing further funds far harder. In effect, HARP's enemies had figured out a way to strangle the project to death. To add to HARP’s woes the US Army lost its political battle with the US Airforce to control space operations: All funding for HARP's orbital program had to come from the Canadian portion of the funding only. 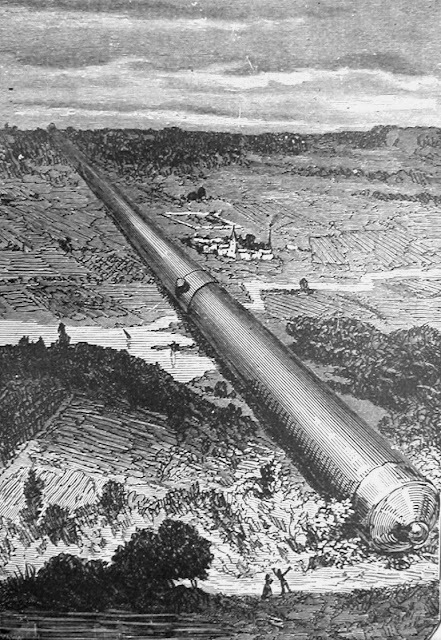 Still, with a mix of lobbying and engineering ingenuity, HARP staggered on: A second giant gun was built at Highwater, near McGill University, where ideas could be then tested swiftly without the need to travel all the way to Barbados. The problems with the program's funding required a level of improvisation rarely seen in a world-class space program. Much of the credit for the project's technical achievements was due to the ingenuity and expertise of HARP's engineers and craftsmen. And, to prove it, they made the Barbados gun bigger: Now 40 meters long and weighing nearly 100 tons it was truly monstrous, and was making regular firings (to the horror of the islanders). 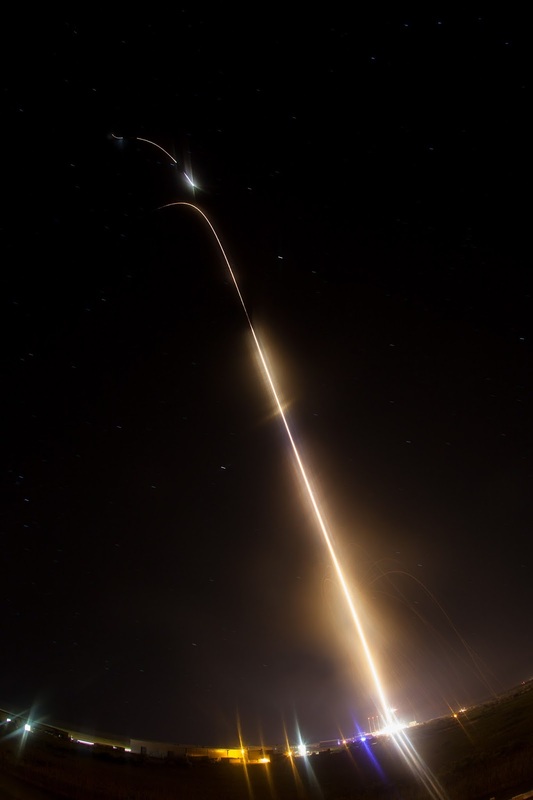 Other HARP guns were conducting launches in places as diverse as Alaska, Wallops Island Virginia, Highwater, Quebec. When the engineers extended the Highwater gun, they decided 40 meters wasn’t big enough, and extended it twice, to 60 meters. That made it the longest big bore artillery piece in the world - laid flat people mistook it for a bridge. Jules Verne’s vision was in full swing. Well, maybe not to this point. So why aren’t titanic space guns a thing today? Politics. Well. Politics and the Vietnam war. HARP was an immense technical success, but plenty of people in the Canadian and US governments had put their (literal) money on huge rockets rather then guns. The Canadian funding was again delayed for 10 months – and the HARP staff’s attempts to defend the program were slowly overcome. In 1966 the Canadian Government announced that there would be no further Canadian funding for the HARP. In its place the funding would go to the new Alouette satellite, the Fort Churchill rocket range, and the new Black Brant sounding rocket. Although Black Brant rockets are cool too. The Canadian decision had another effect: The US Army was getting mired in the conflict in Vietnam, diverting their focus and funding, and they’d already lost the political battle to run space operations to the US Air Force. The Pentagon pulled its funding for HARP so abruptly that launches were literally stopped in mid operation. This is the point where things take a darker turn: Gerald Bull was determined not to be stopped. And a ballistics genius, with a small army of engineers and a gun that can shoot things into space... well we’re one sideways step from a supervillain origin story here. 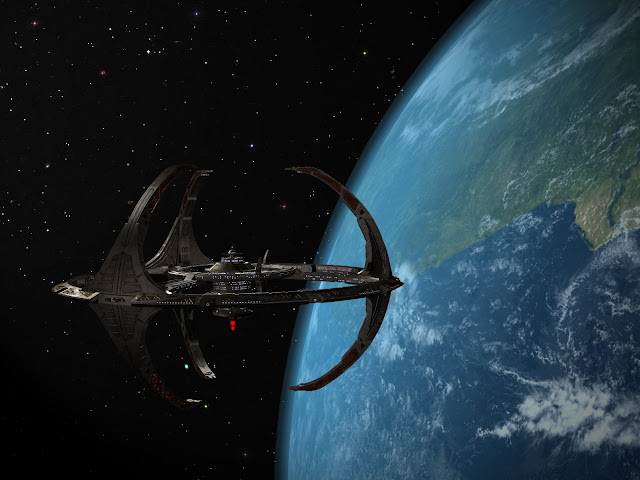 To be honest I've just been trying to work this picture into something for a while: The space station Deep Space Nine folks! Bull didn't need that explaining though: His expertise was already based in weapons technology: He founded the ‘Space Research Corporation’, and had the assets of HARP – including one of the supercannons – transferred to it. Despite the name SRC sold weapons, not spaceships. During the late 60’s and early 70’s SRC scraped by and Gerald Bull’s space gun dreams didn’t advance much, if at all. But their skills allowed them to build the GC-45 howitzer – A weapon that could be easily made from existing big guns, and could hit a target 30 km away with an accuracy of 10 meters. Today the G-45 is recognised as being well ahead of its time, and SRC had other innovations, like the ‘Extended Range Full Bore’ shell, which could hit a target 50 km away when fired by an M107 cannon. The company certainly stood to survive and make a profit. Technology wasn’t their problem – once again, politics was. SRC sold an upgraded GC-45 (the G50) to the Armscor corporation from South Africa – a sale allegedly encouraged by the CIA as it was expected to help weaken communism. Then Jimmy Carter came to power in 1977, and South Africa’s abysmal human rights record became more important than it’s strategic value. Policy on arms sales changed – and Bull was arrested. He pleaded guilty, expecting a slap on the wrist. Instead he spent six months in jail, and was fined $55,000. Worse, by pleading guilty he’d missed the chance to give any evidence that the CIA had encouraged the sale. Once free Bull relocated to Belgium, starting over with one of SCR’s subsidary’s there. His contracts included weapons for China, and, fatefully, Iraq: Before the first Gulf War Saddam Hussen’s government were prepared to finance his space gun ideas. 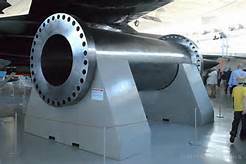 In return for Bull’s help improving their Scud missiles, they built and tested a 45 meter super cannon, named Baby Babylon, and began construction on another titanic, 2100 ton, 150 meter plus one.... before parts of the barrel were intercepted and confiscated. Had it been completed it would have been built through a hill, and would have had a 1 meter bore. To be fair to Bull he had good reason’s to think that the space gun could never be used (directly) as a weapon. Specifically, the reason was that he was designing it to be almost useless as one: Embedded into a hill, it couldn’t be aimed, and was incredibly vulnerable to having it’s muzzle or loading mechanism bombed. Above: Part of the supergun barrel, now a museum piece. In 1995 Gerald Bull was found outside his hotel apartment in Brussels. He’d been shot three times in the back, and twice in the head – to all appearances he was taken completely by surprise, and was dead before he hit the floor. A 'thump ' - him hitting said floor, or perhaps the noise of a shot distorted by a silencer - was heard by a maid on the floor below, but no shots were heard**. The guilt for the assassination has been placed on Mossad, MI6, the CIA, and even Iraq’s intelligence agencies – but oddly they don’t share that kind of information with me, so we may never know. Did the idea of a space cannon die with Gerald Bull? Not entirely: Bull’s work on the idea to proved that the principle is sound – although it has its limitations: On launch from the gun barrel the bullet/spaceship feels thousands of G’s, enough to liquefy a human, and reduce fragile electronics or sensors to powder. That was one problem HARP struggled with: The launch damaged rocket motors so badly they couldn't be fired - a big problem for orbital flight, as to reach a stable orbit a gun-launch would need a rocket motor to adjust it’s trajectory, since orbit isn’t just about speed, but direction also. Incidentally, that's also why you should say 'no' of someone offers you a ride in one. The late 80’s/early 90’s SHARP project (Super – HARP) was able to fire 5kg projectiles at up to 3000 m/sec. The next stage would have been to elevate the barrel and try to improve the muzzle velocity up to orbital speed (7000 m/sec) and the third stage was a 3500 meter long version called the 'Jules Verne Launcher' that would have been able to orbit a satellite weighing 5 tons. Based on their experience launching once a day seemed feasible - allowing the SHARP gun to launch over a thousand tons into orbit per year, at one twentieth the cost of a conventional rocket launch per kg. Once again though, the problem was funding: The Jules Verne Launcher would have needed a budget of billions to develop, and neither the government nor private investors were willing to put up the cash. 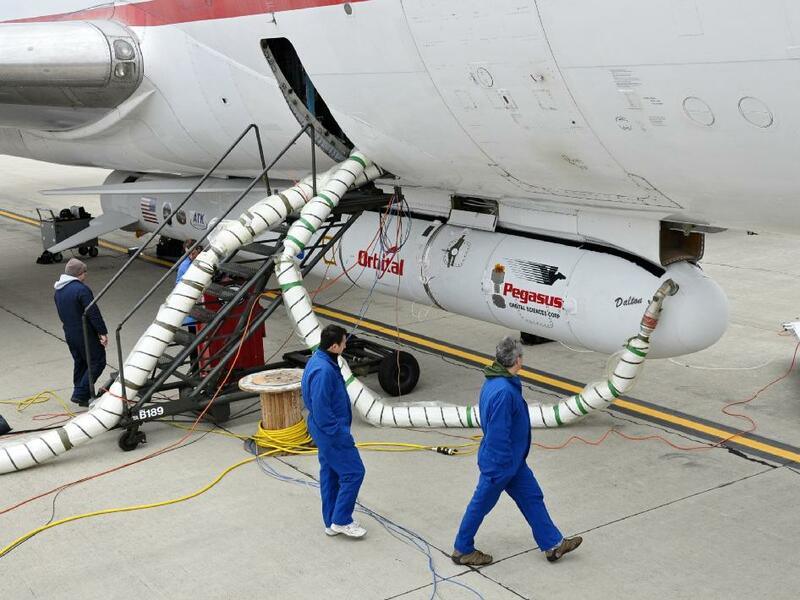 In spite of that, the original SHARP cannon continued to work for many years, being used to test supersonic aerodynamics for things like scramjets. The Quicklaunch project. Using the same gas-gun technology as SHARP. 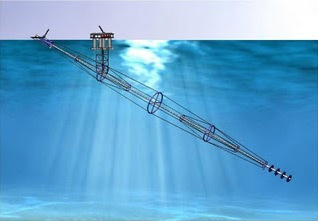 The barrel would have been 1000 meters long, and submerged in the ocean at an angle. That would have given it an advantage over all previous designs: Quicklaunch could have been aimed. It was ‘put on hiatus’ because the developers didn’t feel they could compete wit company’s like SpaceX, who are trying to bring down the cost of launching to space using re-usable rockets. Avast me hearties, that be the Quicklaunch cannon! Seriously, pirates are a real thing still - what if pirates got hold of one of these? Still the attractions of a space gun for launching chunks of dumb material – for building, propellant, or water – are still real. Perhaps when companies like SpaceX have done what they can with rockets they might return to space gun ideas – not as competition for rockets as Gerald Bull envisioned, but in support of them. *The main one is that on launch the spaceship feels thousands of G’s, enough to literally liquefy an astronaut. **It's true that silencers don't actually silence a firearm, but they can mute and alter the sound to the point that it's unrecognisable.